If you are a producer of dietary supplements and are searching for a Quality Manual that satisfies the FDA's 21 CFR Part 111 - Current Good Manufacturing Practice In Manufacturing, Packaging, Labeling, or Holding Operations for Dietary Supplements, look no further. 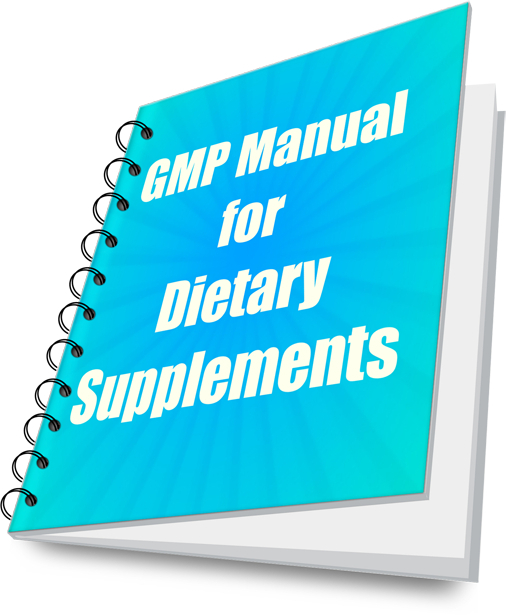 Our GMP Manual for Dietary Supplements is designed for small to medium size businesses and includes 26 procedures and 50 forms, which you customize specifically for your needs. This manual also complies with ISO 22000:2005, Food safety management systems – Requirements for any organization in the food chain. Implementation of our documented, management system will enable you to meet 21 CFR Part 111 and ISO 22000 requirements at a reasonable price. You will receive sensible procedures which, when implemented, will reduce paperwork to a minimum and will enable you to significantly improve the safety of your products and the quality of your products/services. As an added bonus, we will also send you free software download links for document management and calibration management. Good Manufacturing Practices (GMPs) are mandatory practices that should be applied to the manufacture and testing of pharmaceutical products or drugs, vivo and in vitro diagnostic products, medical devices, and foods. GMPs are not instructions on how to manufacture products, but rather are series of general principles that must be observed during manufacturing and testing in order to yield quality and safe products. In the United States, GMPs were developed by the Food and Drug Administration (FDA). The GMP applicable to dietary supplement production plants is: Code of Federal Regulations, Title 21, Part 111 (21 CFR Part 111) - Current Good Manufacturing Practice in Manufacturing, Packaging, Labeling or Holding Operations for Dietary Supplements. The federal government uses the term "cGMP" (current good manufacturing practice)" which indicates that the current GMP is kept up to date. "GMP" and "cGMP" is used interchangeably and has the same meaning. � A systematic approach to identification of quality and safety hazards, which in turn aids in the development and implementation of proactive control measures.